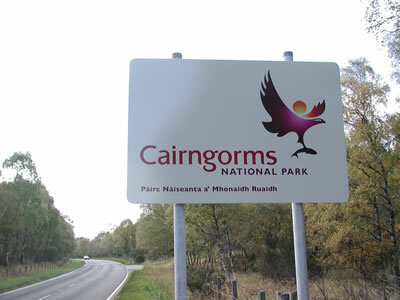 What difference is the Cairngorms National Park starting to make, as it turns two years old? NEMT members will, I expect, be particularly interested in 'biodiversity' and 'access'. Our new Grants programme has these topics as two of our priority areas, and as the programme is open to voluntary groups and organisations, NEMT member groups should check it out. Again on access, we have set up a Local Outdoor Access Forum. Already this is starting to address some long standing problems, such as camping in Glen Clunie: watch this space. Longer term, we are producing a Local Plan, and a Park Plan. You can input to the former now, and we will be consulting widely on the Park Plan early next year. We are, of course, involved in planning on a day to day basis: our Planning Committee meets fortnightly, and has considered planning applications for footbridges, path work, and Bob Scott's Bothy: you're probably as familiar with these cases as I am. One Planning topic of concern probably to both you and me, is hill tracks. They will, I expect, be considered in the Local Plan. And we do have an Interim Policy. However, applications for new tracks, and lack of applications for track work, are of concern to our planning team. Currently, we have approved restructuring work that UDAT are doing on Invercauld. We have agreed a restoration/ replanting scheme in Glen Truim, to improve the line of a track. Less happily, we have supported Aberdeenshire Council in at least one Enforcement Notice, where unacceptable track work has been done. Retro-active work is something we need to move away from: the damage has been done, it's a lot of bother for everyone - the land manager, the planners, the public - and the restoration work may be as disruptive and damaging as the original work. Currently, farming and forestry tracks don't need planning permission, whereas hill tracks - usually associated with deer stalking and grouse shooting - do. With more integrated land management, this is looking pretty anomalous. Much forestry now is concerned with natural regeneration, which, in the 'preferred' absence of fences, requires efficient and effective deer culling - and hill tracks can help here. Yes, I know about helicopters: they are handy but very expensive. Again, if we want our forests to go 'naturally' up the hill, we will have a more intimate mix of trees and heather which makes moorland management - muirburn - more difficult and more dangerous, for trees and folk. So tracks can become a lifeline. Helicopters?- see above. In short, what we need to move towards is the right kind of track, built well, in the right place, for the right reasons. Land managers and recreationists have legitimate needs, and the public expects landscape to be protected. We need to develop criteria that recognise this, so land managers can plan with confidence, and we can all continue to enjoy the hills.